Spanish beer has always underwhelmed me. With that in mind I approached with trepidation upon hearing that their most well known microbrewery, Nomada, was coming to Australia. After having the very interesting Estepa around Christmas time, my expectations for this were greatly increased! 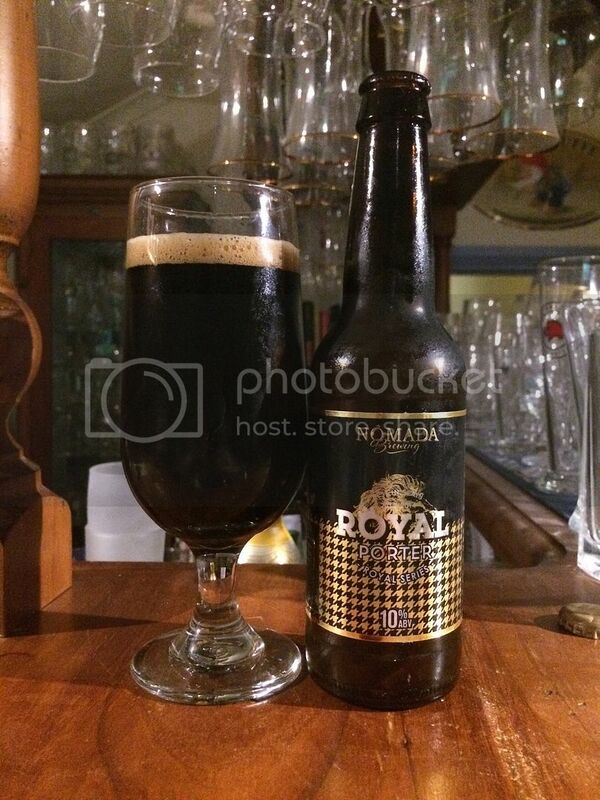 Nomada's Royal Porter is viewed by many as Spain's best beer. Now that Winter is slowly beginning to take hold of Melbourne, it seemed the perfect time to crack into this and see if the hype is justified. Onto the nose and there is plenty of roast and chocolate up front. This continues throughout, as the beer warms it also developes some dark chocolate aromas as well as some woodiness. I also detect a whiff of raw alcohol, which doesn't destroy the aroma as the rest of it is so strong, but does impact my overall feelings of the beer.